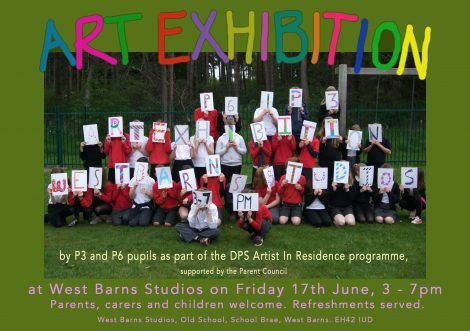 On Friday 17th June 280 children will be exhibiting work to celebrate the end of the 2016 Artist in Residence programme at Dunbar Primary School. Artists Liz Adamson and Susan Mowatt have been working with P3 and P6 puils over a 5 week period on various projects. Images to follow, but if you’re in the area, please pop in!